It is a narrow passageway that is towards the inner side of the hand also known as the palm. The inner side of the palm is made up of bones and ligaments. There is a median nerve in the that runs through the palm and is responsible for controlling the movement and sensation in the thumb and first three fingers. The median nerve runs through the carpal tunnel. 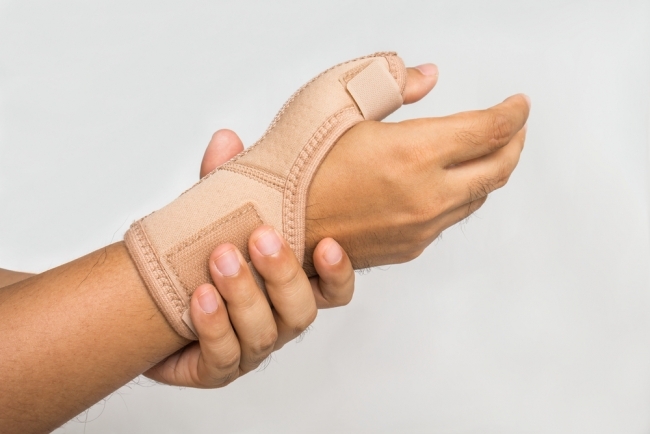 When the nerve is pinched or compressed, it leads to the feeling of tingling, weakness, numbness, pain in hand and when this pain occurs,known as carpal tunnel syndrome. Not any such definitive reason behind it though but one such common reason is the inflammation of the area around the median nerve. The carpal tunnel is rigid and narrow and when it becomes swollen the median nerve compresses and because of which it causes a lot of pain. The median nerve becomes sore and painful. Although, the symptoms will occur in both the hands but the hand’s studies have shown that it appears in the dominant hand first. Who faces the problem of carpal tunnel? How performing specific Yoga exercise can help get rid of the problem of carpal tunnel? Improve the overall posture of your body and it will not only help solve the problem of carpal tunnel syndrome but will also reduce the stress and tension of the body. You can begin by doing this daily ritual and improve your posture and position of the spine. The yoga pose will help into correct your sitting style and give you a better stance. You will notice yourself while sitting or standing. This pose is known as the prayer or the Anjali position. It will help to give a good stretch to the wrists and also simultaneously control the pressure. The wrists will be fully stretched without giving you any pain. You can also try the prayer position behind your back. This pose is known as the reverse namaste or secret prayer. Relieve tension from your arms after those long tiring working hours spent hunched in front of the computer, typing on the keyboard.To give relief to your shoulders, you need to perform cow face pose, i.e.,Gomukhasana or the eagle pose, i.e.,Garudasana. This pose is to correct incorrect body posture that these days everybody has in common. Those long working grueling office hours force us to sit in a forward leaning position, and we are unable to sit straight for so long. You need to perform a proper back-bend and remember not to put pressure on the wrists. Making a wheel should be avoided. Throughout the day take out little time for yourself and perform yoga stretches. Stretch your arms, hands and band, a slight movement here, and there won’t hurt. A few movements would help relieve the tension and help avoid your injuries. Apart from this, you can also use carpal tunnel brace to get relief from the pain and speed up the recovery of the carpal syndrome.